Helmet from adidas by BAPE in collaboration with Riddell. 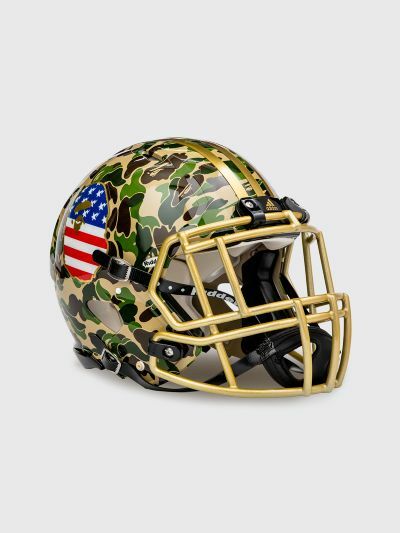 Covered with a camo printed and hand-dipped film with hydro graphics and a glossy finish. Features red, white and blue BAPE logos and gold colored Adidas three stripes on the top. Gold colored metal face mask and adjustable chin straps. Black padding and lining. 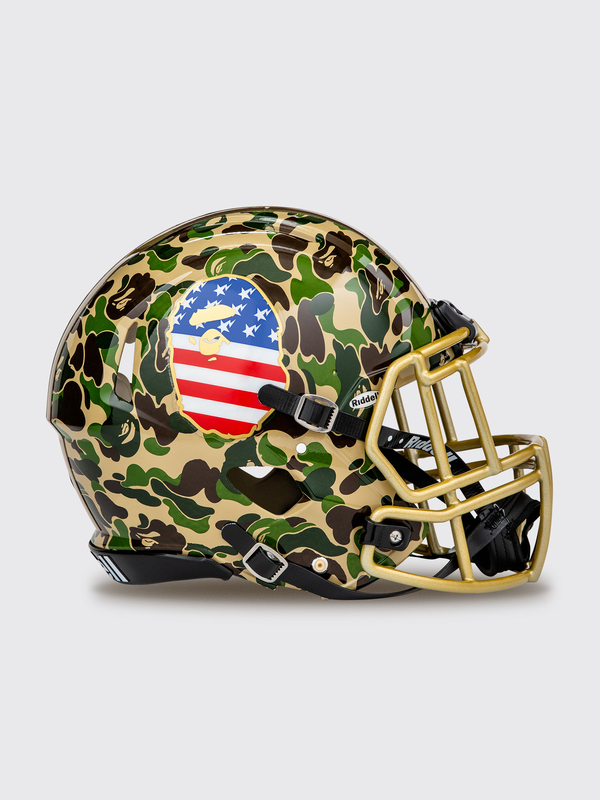 This helmet is made for promotional and collectable use only and is not suited as protection on the field. Green helmet. Made from plastic with gold colored metal face mask. One size. Adjustable chin straps.